Home > Cars > Supra > New Toyota Supra: the early reviews are in! New Toyota Supra: the early reviews are in! The wait is almost over. 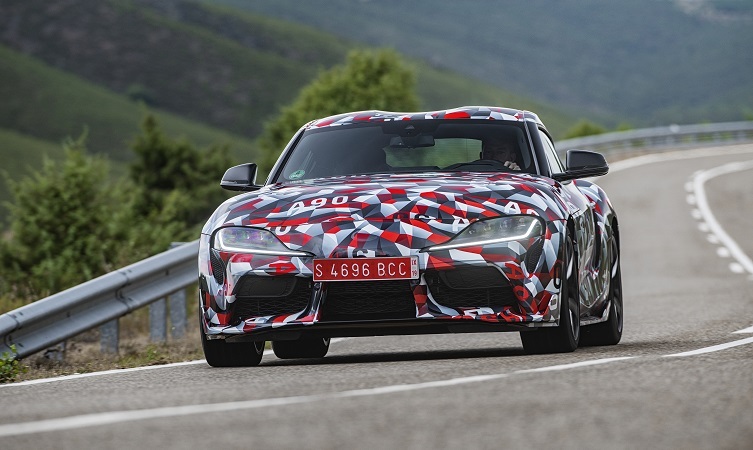 The svelte bodywork may still be under wrap and series production may still be a number of months away, but a fortunate few now know what the hotly anticipated, fifth-generation (A90 chassis) Toyota Supra feels like to drive. Last week, Toyota GB invited a select group of UK motoring journalists to test-drive some of the final development models on road and track in Spain. Their reviews of our new thoroughbred sports car have now been published, and we get the feeling that it will take a while for their smiles to wear off. See what we mean by reading the excerpts below, and click the emboldened links to read their full online test reports. “The engine is extremely sweet, smooth and broadly responsive but happy to rev. In Sport mode, a flap opens in the exhaust and Toyota says there’s more work to do on the induction noise, probably via sound tubes off the engine – so real, rather than fake noise. You’re happy to let it sing, or sit at high revs pre-overtake. If there’s work still to be done on the calibration, it’d be news to me. “From the moment you sit in the Supra, it feels just right… and that rising bonnet stretches ahead like a sports car of old. Legs straight, steering wheel pulled to your chest, arms bent, and the Supra embraces you. You may now continue to get very excited about what is a very exciting car. New Supra is good. Really good. “The powertrain is a peach – smooth, soulful and spectacularly capable, blending ultra-quick, flawless shifts with an engine that can do it all, from easy motorway flying to high-rev hooliganism. All the engineering fundamentals are right, from a steel body stiffer even than the carbon fibre LFA’s, through a 50:50 weight distribution to a centre of gravity lower even than that of the boxer-engine GT86. “On the road you’re struck first by the engine’s awesome turn of speed. 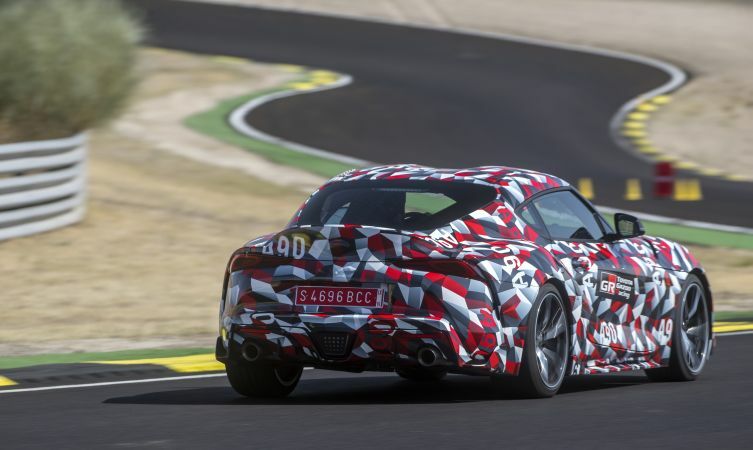 Picking off trucks and slower cars is child’s play, the Supra sprinting by whenever the opportunity emerges thanks to the six’s strong torque and, should the need to hurry arise, urgent top-end. “What’s it like to drive? Oh it’s good. Very good. The straight-six… [has a] muscular delivery and, for a six-pot, it revs with a serious attitude. It piles on the power with the athleticism of a rev-hungry four-pot without any of the coarseness… [and] the eight-speed auto keeps up with the action. It feels Porsche precise, as engaging as Alpine’s A110 and, crucially, the Toyota Supra is a genuine thrill. “But it’s the balance of the chassis that fuels your enthusiasm. There’s the right amount of roll and pitch for you to work with rather than against, the steering gets the nose into the corner in a single sweep with none of the constant steering corrections electric systems often require as you hunt around for feel. “Toyota says 90% of development work has been on the road, with 10% on the track, and that’s how the Supra’s bias feels too. There’s a good underlying compliance to it, and with very smooth steering, and the inherent stability of a front engine, it feels more mature than, say, an Alpine A110, while I’m sure it’s more pliant than a BMW M2 Competition. 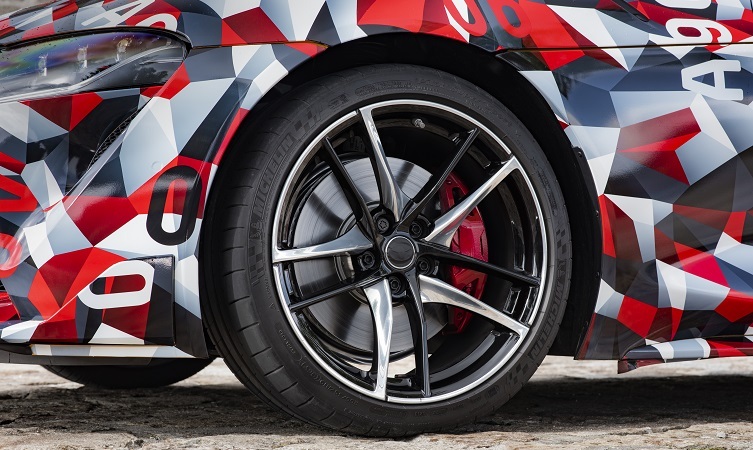 “Stiffen the Supra’s dampers, though, and body control tightens without destroying the ride: this is one of those cars where engineers, not marketing execs, seem to have been left in control of how harsh the buttons make things. There’s a pleasing, reassuring handling balance to the Supra in its sportier mode; a bit of understeer on the way in, a bit of oversteer on the way out. GT car imitating sports car, rather than being out-and-out sportster. “Hey, it’s… one of the very finest engine/gearbox combinations in the world, and… it’s great to see it being used in a proper performance application – the way it responds, zings through the revs and stays composed and smooth whatever abuse you throw at it is a thing to be celebrated. “The steering… does weight up significantly as the loads increase – a useful indicator of how close the tyres are to letting go. The brakes are strong and progressive and the seating position, tucked low next to the transmission tunnel, is spot on. The basics, in other words, are superb – this is a car that you don’t have to thrash to have fun in… but just to be sure, we stopped off at the newly-resurfaced Jarama race track.